Book Review - "You're Already Amazing"
Sitting down to read Holley Gerth's "You're Already Amazing: Embracing who you are, becoming all God created you to be," is like sitting down with a close friend for a chat over a cup of coffee. Gerth's purpose in writing this book is for each woman to realize and believe that she is amazing. Period. Not amazing when she looks a certain way or does something, but amazing all the time, just by being herself and because God created her to be amazing and loves her. Each chapter tackles different thoughts, beliefts, insecurities that may get in the way of believing that we are already amazing. There is also a Go Deeper Guide included at the end of the book that is a discussion guide that coordinates with each chapter making this book a wonderful small group resource as well. This book is written in a style that is easy to read and has a conversational tone to it so that the reader is quickly drawn into the book and a part of the book instead of just reading the words and not really getting anything out of it. I like how there are diagrams, lists, and questions throughout the book that really made me think and apply what I was reading to myself. This is an excellent reminder of our self-worth and an encouragement to change our viewpoints and how we live our lives. Book Review - "Eyes of Justice"
Being that I am a huge fan of the Triple Threat Series by Lis Wiehl and April Henry, I was excited to see the 4th book in this series, "Eyes of Justice," available for review! Cassidy, Nicole and Allison join forces once again to solve a web of murders that are taking place. Joining them on their side is Oliva; however the additional help is not going to be enough as things continue to spiral downwards! This book will pull you right into the story and in the midst of the crimes and drama as soon as you start reading! I have enjoyed each of the books in the series, but they continue to get better! Each book allows the reader to be in each of the character's shoes and know the story from each of their perspectives. Along with that each book provides more insight into each of the woman's personal lives and backgrounds. This is a series you do not want to miss if you love mystery! 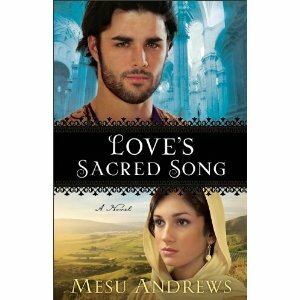 Book Review - "Love's Sacred Song"
I enjoyed Mesu Andrews' "Love Amid the Ashes," so I was really looking forward to reading her new novel, "Love's Sacred Song" and I was not disappointed! Arielah is a shepherdess yet she knows it is her destiny to marry King Solomon. Living as a part of the King's harem is not in her plans, but what will King Solomon do? King Solomon is forever in the shadow of his father and yet he longs to take a stand on his own, but he is conflicted and torn in so many areas, can he really follow his head and heart or does he need to live up to the expectations he feels he must to please others? Andrews' style of writing is so easy to read and I was immediately drawn into the story in the first chapter. The writing is very descriptive so that I feel as if I am transported to the story's setting and immersed in the characters' lives. It was easy to empathize with both Solomon and Arielah as they struggle to be themselves in the midst of others' expectations and plans for them. The story of Solomon comes alive in these pages and this is a treasure not to be missed for all historical fiction fans! Jill Eileen Smith has such a gift for bringing Biblical characters to life! 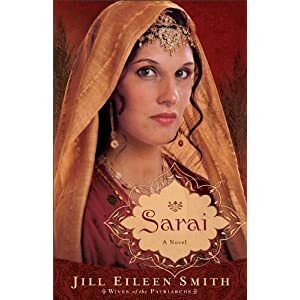 I really enjoyed Smith's The Wives of King David series; therefore I was thrilled to get the chance to read and review "Sarai," book 1 in Smith's Wives of the Patriarchs series! Sarai made a promise when she married that she would give her husband Abram a son and at the same time Abram promised he would not take another wife besides Sarai. Years and years have passed and Sarai's promise has not been fulfilled as she has been barren. Worried that Abram will break his promise since she has not fulfilled hers and the longing that Sarai feels to be a mother leads her to attempt to turn to other gods at times; however she is unable to follow through with the worship even at the urging of her nephew Lot's wife Melah. Sarai and Melah have different beliefs and lead similar lives and live in similar circumstances, but their lives vary greatly. As Abram and Sarai follow God's commands and travel, they face trials and yet there love remains strong, but always on their minds is the unfilled promise from God that Sarai will birth Abram a son. How long must they wait and will they both be patient enough? Smith is such a great storytelling weaving together and expanding upon Biblical stories and truths and tying in research to fill in the gaps. Smith has such a way with words and writing style that really brings the characters to life. Although these characters lived years ago, many of their struggles are similar to ones that are still faced today. I am looking forward to the rest of this series! Book Review - "1000 Days"
An opportunity to meet Jesus Christ like never before. Have you ever thought that when Jesus Christ came to earth more than two thousand years ago, he could have simply given us salvation—period!—and never done another single thing? Jesus Christ could have chosen to be born of a virgin, live for 33 years in relative obscurity, die on the cross, be buried, and rise from the dead three days later, and still give us the opportunity for salvation without doing any of the things we read about in the gospels. For three years—roughly 1,000 days—Jesus served in public ministry while on earth. He didn’t need to do this ministry, yet he did anyway, and that’s the key for us. This intentionality implies that there is a lot of information in Scripture that we need to grapple with. We need to understand what Jesus said and did during his 1,000-day public ministry, so we can apply his teachings to our lives today. What makes these 1000 days of Christ so vitally important? A graduate of Liberty University I was thrilled to see this book available for review! Having heard both Dr. Jerry Falwell and Jonathan Falwell preach on numerous occasions, I knew that this book would be a great one to read! Falwell's writing style is very easy to read and it is as if he is speaking with the reader and he uses language that is easy to understand and follow. Each chapter end with discussion questions making this a great book to use as a part of a small group study as well. There are 15 chapters and they are a good length so that they go into depth, but they are not overwhelming. I love the section at the end of the book that is an outline of the 100 Main Events in Jesus' Life. Each event has the coordinating scripture listed with it for further study. This is a great read for anyone wanting to learn more about Christ's ministry. 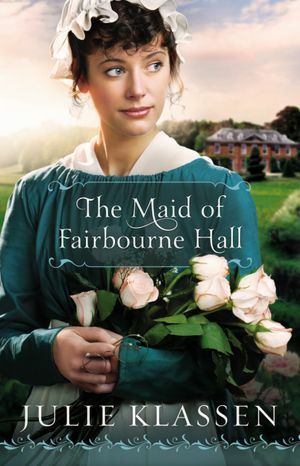 Book Review - "The Maid of Fairbourne hall"
Don't miss the perfect blend of Regency-era romance and mystery in The Maid of Fairbourne Hall! Grab a copy and then be sure to enter Julie's Kindle Fire Giveaway and RSVP for her Author Chat party on Facebook! Swoon. Enter today by clicking one of the icons below. But hurry, the giveaway ends 3/14/12. Winner will be announced at Julie's Fairbourne Hall Book Chat Party on 3/15. Julie will be hosting an evening of chat, trivia and a sneak peek of her next book - bring your friends! She'll also be giving away some GREAT prizes: gift certificates, books and a Downton Abbey Prize Pack (Seasons 1 and 2)! So grab your copy of The Maid of Fairbourne Hall and join Julie and friends on the evening of March 15th for a book chat party. Don't miss a moment of the fun. RSVP today and tell your friends via FACEBOOK or TWITTER and increase your chances of winning. Hope to see you on March 15th! I find Julie Klassen's style of writing very easy to read and very enjoyable! Klassen brings the early 1800's to life and transports the reader to London as she uses language fitting to the time period and fills the story with vivid descriptions. Margaret (Nora) is such a lovable character who grows so much throughout the story as she goes from a spoiled wealthy girl to being a maid and she realizes just how much her own maid had done for her and how she should have treated the servants more kindly and thought of them instead of just herself all the time. I also love all three Upchurch siblings, they are so different from each other in their own ways and yet the sibling bond that is between them was so realistic and the elements are their relationships with each other can be easily related to today. Historical fiction fans will not want to miss out on this treasure! Win a Kindle Fire and RSVP for FB party 3/15! Enter Today and Save the Date-3/15! *I received a complimentary copy of this book in exchange for a honest review. Book Review - "Heart's Safe Passage"
Phoebe Lee returns as the heroine of "Heart's Safe Passage," book 2 in The Midwives series written by Laurie Alice Eakes. Phoebe wants to stay in Virginia and practice midwifery; however things do not go according to her plan. Phoebe refuses to accompany her pregnant sister-in-law on a journey abroad ship to rescue her husband from prison in the midst of the war of 1812, so suddenly she finds herself kidnapped and on board ship! Captain Rafe is willing to do what it takes to get revenge on the man who has destroyed his family, even transporting Phoebe and her pregnant sister-in-law as the man they are heading to rescue will have information for him. However, Rafe finds himself battling not only his internal drive for revenge, but also the attraction that he building within him toward Phoebe. It quickly turns into a fight for survival as Belinda is about to go into labor, someone is out to destroy not only Belinda's plan, but Rafe's as well and also take all of their lives. This book is well-written and is filled with details relating to the time period. The characters are all well-developed and I was rooting for them to make it their the various battles in their own lives and empathized with them throughout the story. I found myself rooting for Phoebe and Rafe and enjoyed "seeing" the relationship between them develop as well as the dynamics between the various characters - Phoebe and Belinda, Phoebe and Mel and Mel and Rafe. If you enjoyed book 1 of this series, "Lady in the Mist," you will not want to miss this one!